Colour Oasis offers a complete line of Benjamin Moore® products for virtually every project you have. From surface preparation products to a wide array of coatings in sheens and formulas for every requirement. Whatever the job demand, we have what you need. Welcome to Colour Oasis Paint and Decor! Here you’ll find helpful information about our products and services, along with great tips and ideas for all your projects. As an independently owned store, we can offer you a level of service you thought no longer existed, while supporting your local community. We’re proud to deliver the kind of specialized attention and help that you simply won’t find in larger chain stores. Our store professionals are trained specialists whose experience and helpful advice will ensure the success of every project. 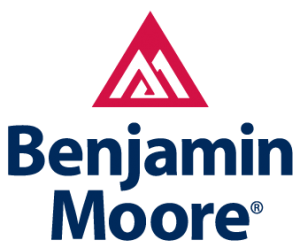 You’ll also find an array of superior-quality products, including premium Benjamin Moore® paints and stains, for all of you projects, simplifying your shopping in one convenient stop- our store! Introducing Colour of the Year 2019, Metropolitan (AF-690), and Colour Trends 2019. Comforting, composed, effortlessly sophisticated, Metropolitan finds common ground. Always adaptable, it softens to matte or shimmers with sheen. It’s neutral. It’s balanced. It just is. This is colour, off-duty. At Colour Oasis Paint & Decor we can help with your larger projects as well. We offer on site support to help with product support, quantities required, and special pricing on larger projects. 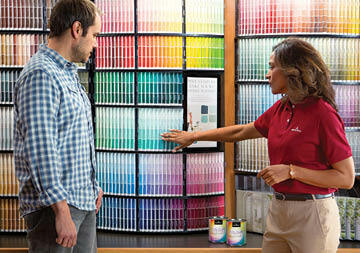 Why not use the skills and expertise of a Benjamin Moore Professional colour consultant? Our experts can help you choose the right paint colours and textures for an atmosphere that matches your sense of style, so choose to hire a Benjamin Moore Paint and decorating Services Consultant. Primer and Paint, to Indoor and Outdoor, We have it all! Interior to Exterior, Polyurethanes to Clear Coats, We have it all! Drop Clothes and Tape, to Sand Paper and Paint brushes, We have it all! QUICK LINKS Home About Us Paint Stain Tools & Sundries Home Decor Services Contact ©2019 Colour Oasis. All rights reserved.